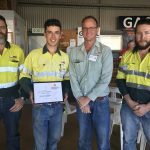 Congratulations to Jack Todd from ALE Heavylift who was presented with the Col Brown Award for Excellence at the GAGAL Apprentice and Trainee awards this morning. Jack also won the award for Fourth Year Apprentice of the year. “We went through a tough period a couple of years ago but we maintained our apprentice levels. You bring them through, you build your business for the future,” he said. 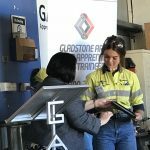 Hayley Good from Orica won best First Year Apprentice. 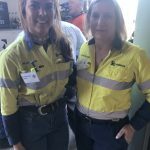 She is completing an Electrical and Instrumentation qualification, and is the first female apprentice hired at the Yarwun site. “Not afraid to take on challenging jobs, Baylee works hard, and continues to be a great asset to Walz. His willingness to listen and learn sets him above,” workshop manager Patrick Sheehan said in Baylee’s nomination. Trainee of the Year went to Lisa Davies from GAPDL. 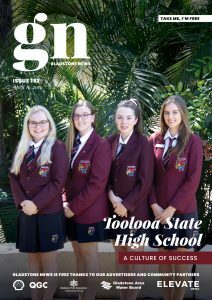 She’s completing a Cert III in events and was commended for her exceptional customer service, great time-management, work ethic and enthusiasm. Tyrone Cant from NRG was the winner of a new award: the GAGAL Mentors Award. 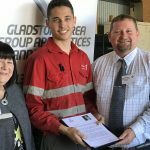 Nominated by his apprentice Dylan Winiarczyk, the award acknowledges the supervisors who train and mentor apprentices and trainees. 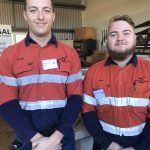 “I feel really confident in the job I have chosen because Tyrone always goes above and beyond to make sure I am working to the best of my ability, and to teach me,” Dylan said. 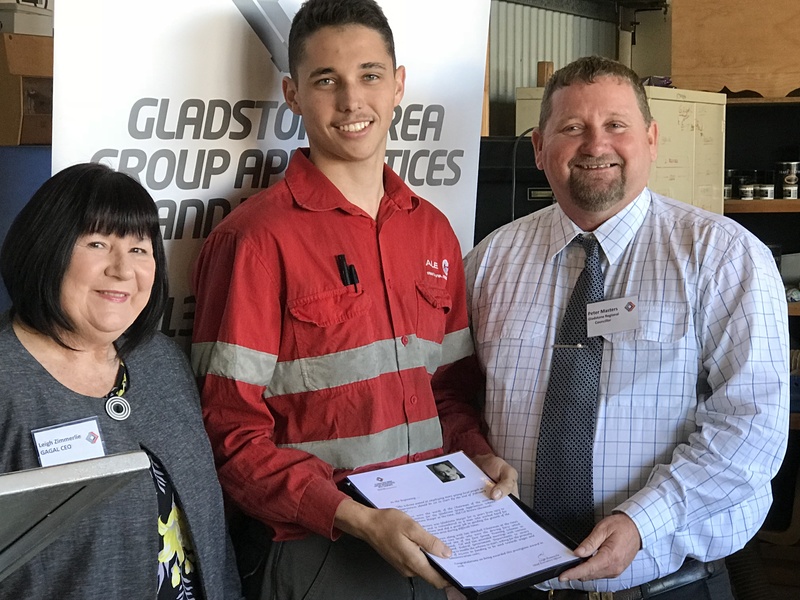 Tyrone also completed his apprenticeship through GAGAL and said he was grateful for both GAGAL and NRG to continue taking on and training young apprentices, and for giving him his first start. 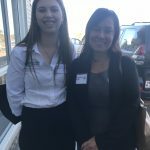 GAPDLs Lisa Davies and Brigitte James – Lisa is the GAGAL Trainee of the Year!